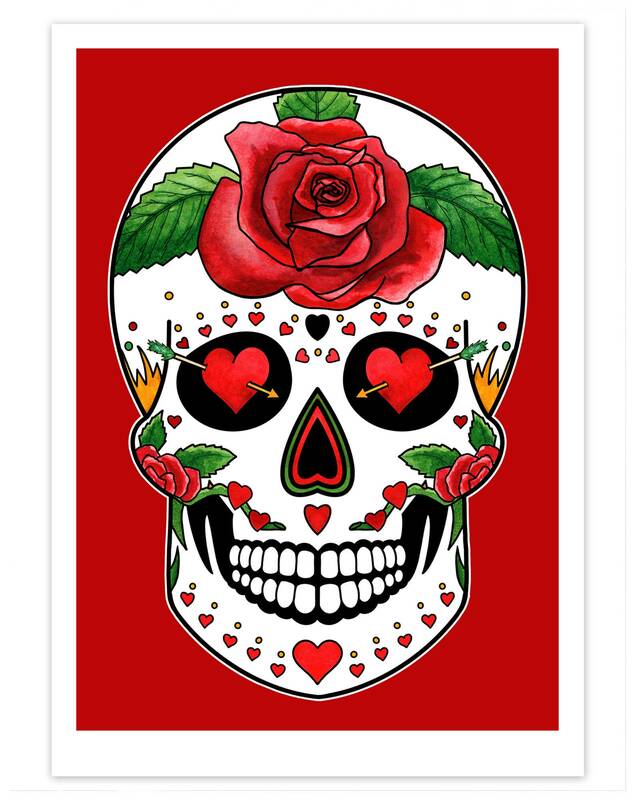 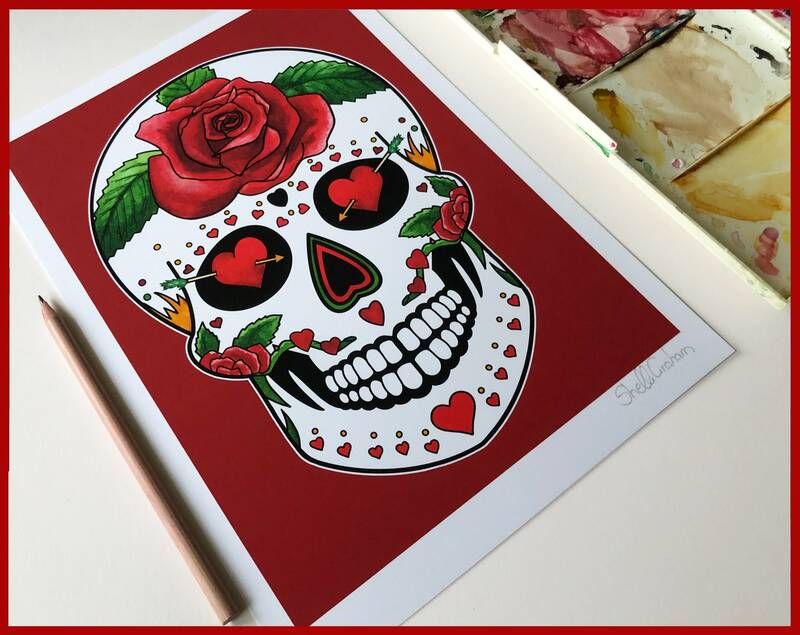 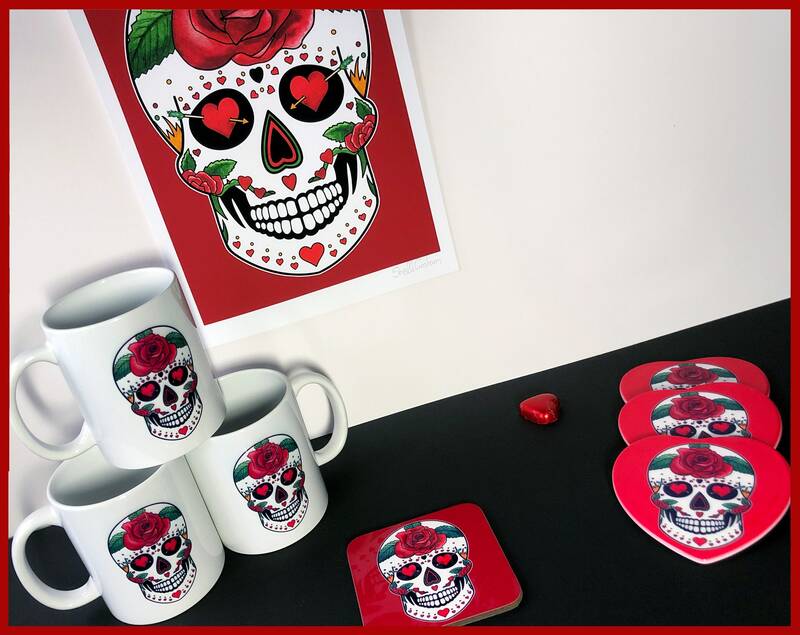 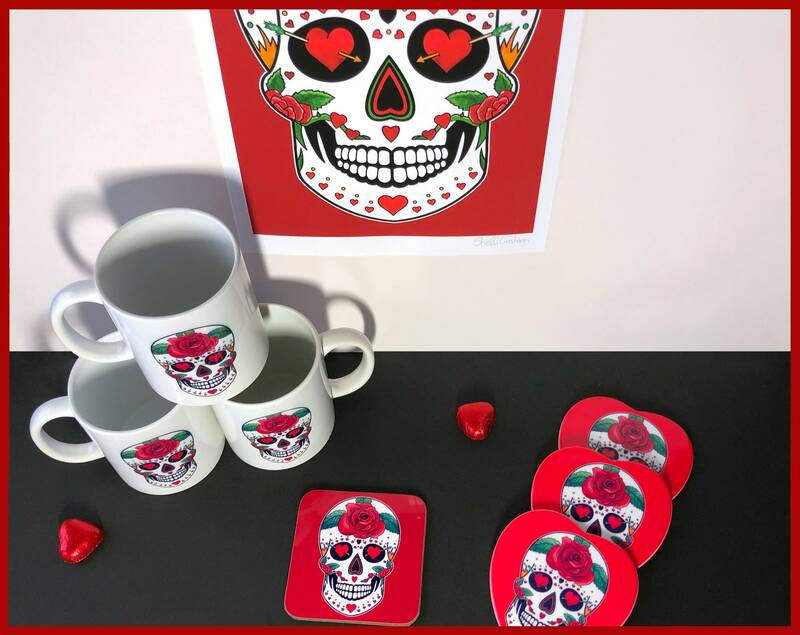 This vibrant 'Love Heart' Sugar Skull art print will make the perfect skull wedding gift, and a beautiful addition to any gothic home. 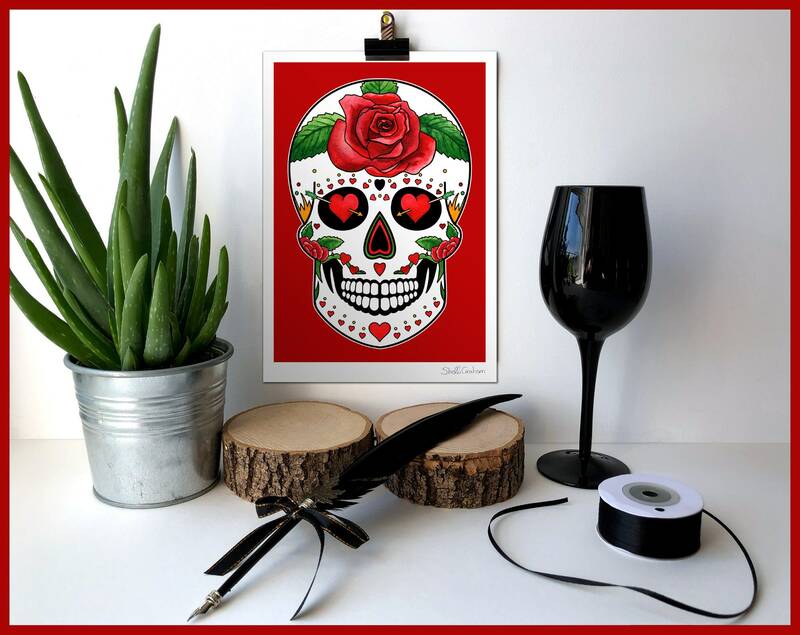 A great gift idea for a Mexican wedding, or a themed wedding, such as a sugar skull wedding or skeleton wedding. 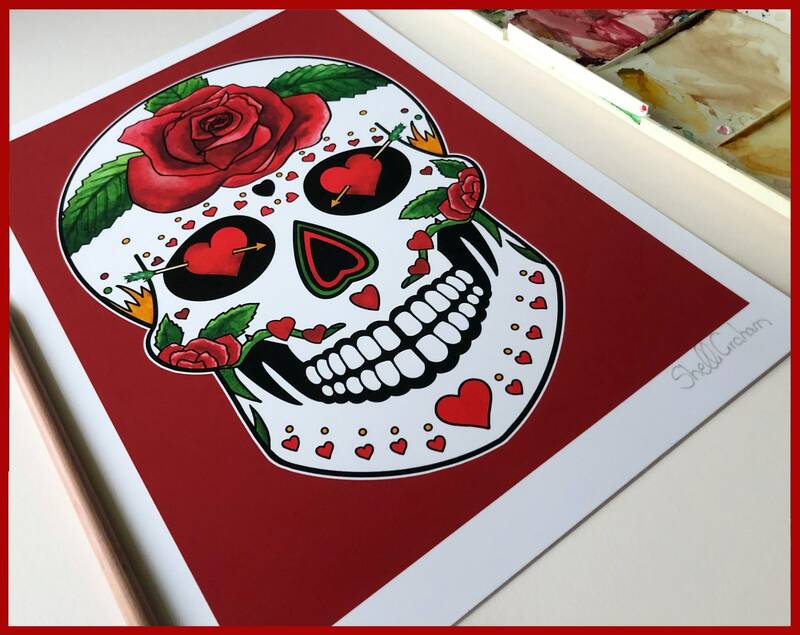 This Day of the Dead signed art print was created using water colours. 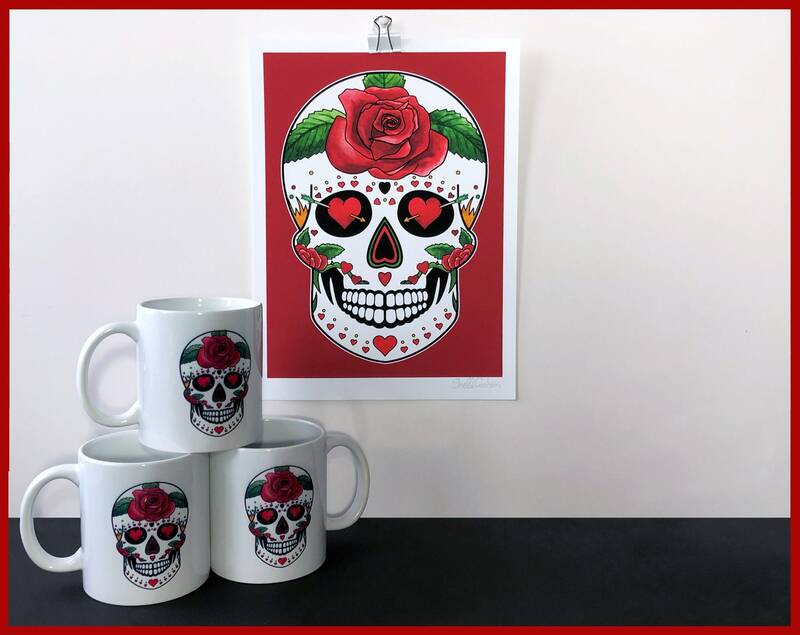 The artwork was finalised digitally to create a vibrant, eye catching and bold design. 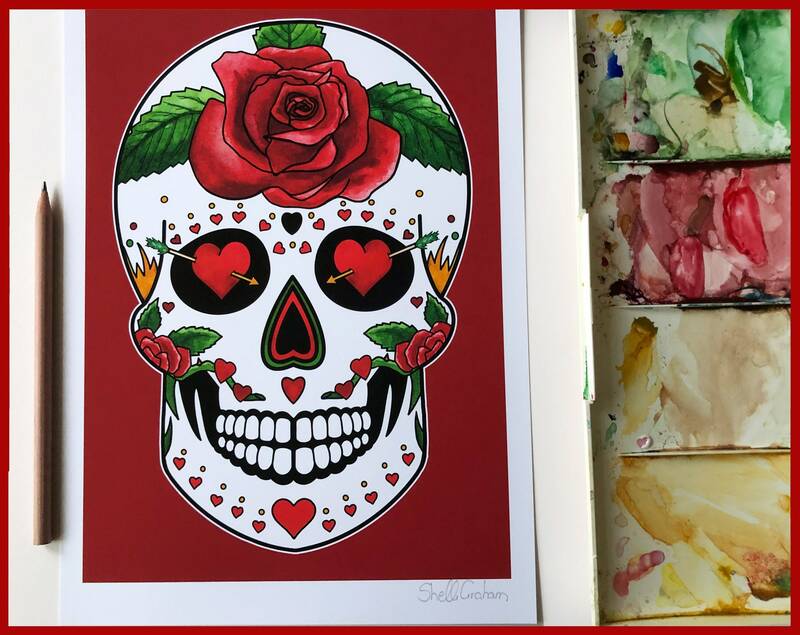 The image measures 26.7cm x 19cm with enough white space around the edges for framing - the total packaged size, with the white boarder is 27.9cm x 21cm (A4). 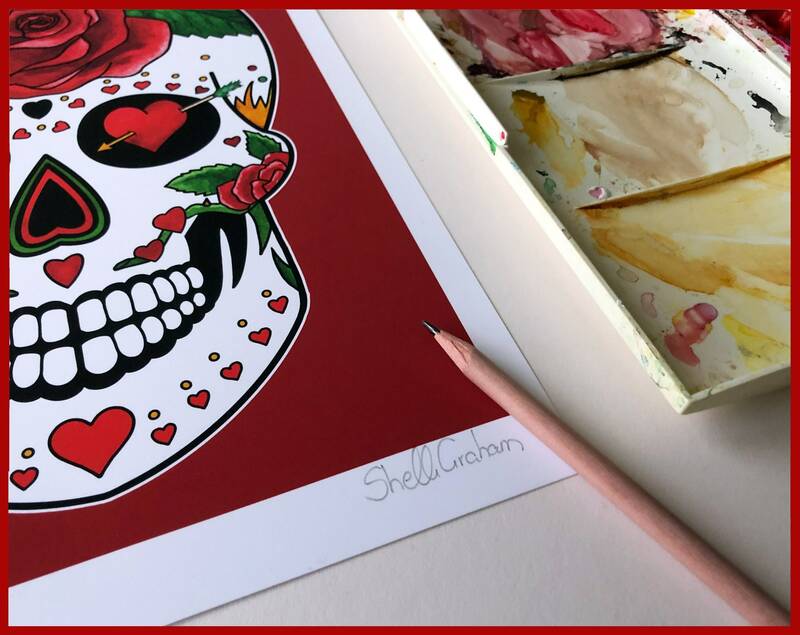 Each print is individually signed by hand in pencil. 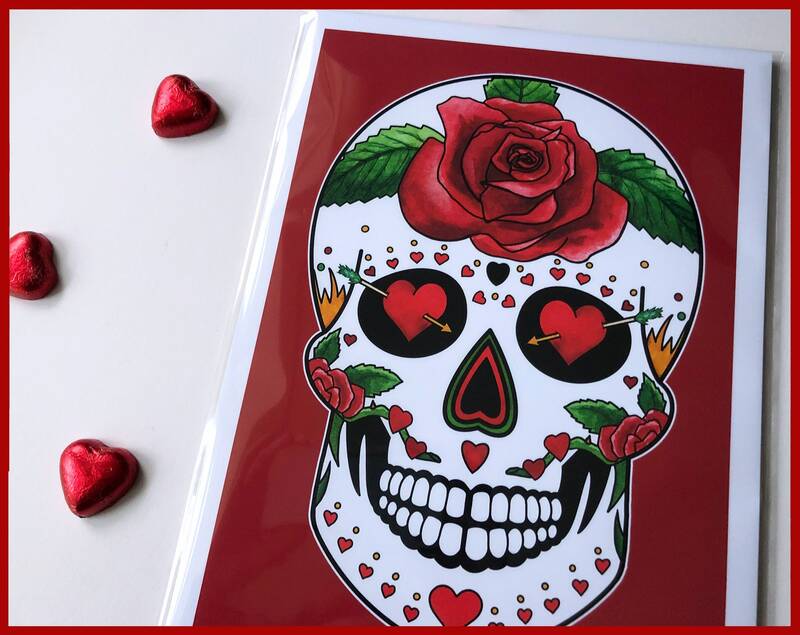 This makes a great gift, not only for weddings, but for anniversaries too.